The Kerry Blue Terrier is one of the most mysterious breeds of terriers. This is because of the fact that even though the breed has been known by the Irish for at least 150 years, nobody really knows where they came from or how they were first bred. They are also coined as the Irish Blue Terrier. Various legends are told in order to explain the appearance of the Kerry blue terrier breed. Some say that the peasants bred them for hunting purposes since noblemen monopolized the use of wolfhounds. Thus, noblemen hunted with their wolfhounds, while peasants poached with their KBTs. Another legend speaks of a wrecked Russian ship that contained a blue dog. This dog swam into Irish shores and there, mated with the local terrier population. This, of course, started the genetic pool of blue Kerry terriers. Whatever the case, the blue Kerry terrier sure has a colourful history, and today is quite an uncommon terrier breed. It started as a working dog, helping hunters bring in prey. It would also be trained as a police dog by the English. Today, it is considered to be one of the best breeds of dogs that one can own. This is part of its excellent abilities as a watchdog. One thing that is amazing about owning a Kerry Blue Terrier as a pet is that this breed is adaptable to every situation. 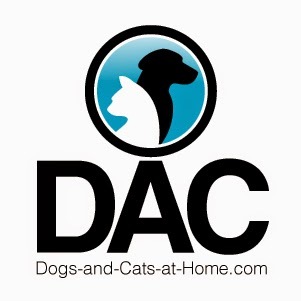 It can be a hardworking hunting dog, a vigilant watchdog, or a champion in a dog show. People who are blessed to have a Kerry Blue Terrier even say that once you are a Kerry lover, you are forever a Kerry lover. That's just how we all feel about our terriers! There are some terrier characteristics which may cause a bit of trouble for your dog. 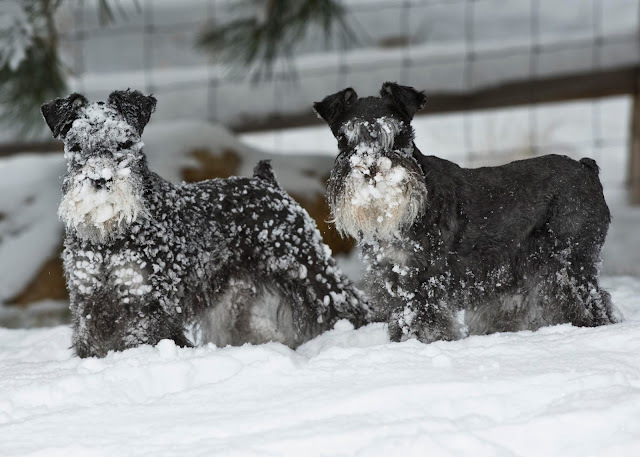 Like all terriers, the Kerry Blue Terrier can get into fights with other dogs due to their protective personality. In order to prevent this, you need to ensure that your Kerry is properly socialized. 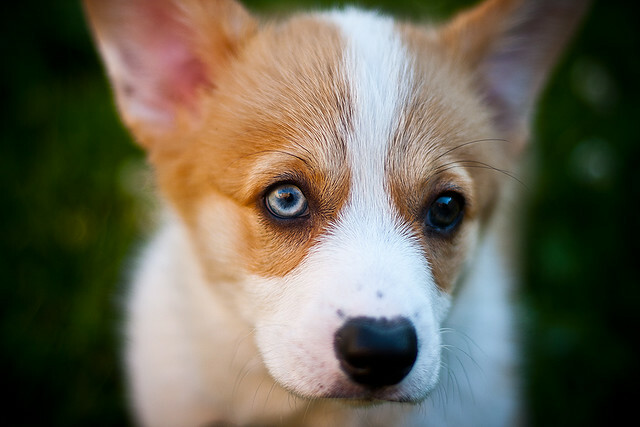 Usually, this is taken care of by the breeder before you take your dog home. Most people, when they are getting a pet, often ask the question of whether or not a pet can be housebroken easily. Thankfully enough, the Kerry Blue Terrier is easily trained and is, actually, quite eager to learn and please their owner, making it a fast learner. Although a Kerry Blue Terrier can become an excellent playmate for children, they should be supervised to ensure proper behaviour, and so that you can nip any unacceptable behaviour in the bud. Children should be taught that they cannot be cruel or aggressive with your Kerry. In fact, they should never be cruel or aggressive with any dog. The KBT is also one of the more hardy types of terriers because they have very few genetic problems. Before buying a Kerry, however, it is important and a good idea that you ask for eye certifications and hip x-rays. These are the most commonly afflicted parts of the KBT. Kerry Blue Terriers are not for everyone. Some people may find it a bit too playful, or may not appreciate a Kerry Blue's curiosity. Don't forget, the word terrier comes from, In fact, the word terrier comes from the Middle French "terrier", and before that, the Latin terra, meaning earth. They were originally bred to hunt rats, rabbits, badgers, foxes, otters and hares and dogfighting. They like to dig and discover. Since they were intended as companions, especially as hunting partners, they have a habit of following their owners around and are very loyal. Today, the integrity of this terrier breed lies in the hands of the Kerry Blue Terrier breeders who care for them, nurture them, and make sure that they have great homes to stay in. The Blue Kerry terrier pet dog is one of the most mysterious breeds of terriers. This is because of the fact that even though the breed has been known by the Irish for at leas 150 years, nobody really knows where they came from or how they were first bred. Various legends are told in order to explain the appearance of the Kerry blue terrier breed. Some say that the peasants bred them for hunting purposes since noblemen monopolized the use of wolfhounds. Thus, noblemen hunted with their wolfhounds while peasants poached with their Kerries. Whatever the case, the blue Kerry terrier sure has a colorful history. It started as a working dog, helping hunters bring in prey. It would also be trained as a police dog by the English. Today, it is considered to be one of the best breeds of dogs that one can own. This is in part of its excellent abilities as a watchdog. One thing that is so cool about owning a Blue Kerry terrier pet dog is the fact that this breed is adaptable to every situation. It can be a hardworking hunter’s dog. It can become the vigilant watchdog. If you want companionship, it can also provide that. People who are fortunate to have a Blue Kerry terrier pet dog even say that once you are a Kerry lover, you are forever a Kerry lover. There are some terrier characteristics which may cause a bit of trouble for your dog. Like all terriers, the Blue Kerry terrier pet dog can get into fights with other dogs. In order to prevent this, you need to make sure that the Blue Kerry terrier pet dog is properly socialized. Usually this is done by the breeder. Most people, when they are getting a pet often ask the question of whether or not a pet can be housebroken easily. Thankfully enough, the Blue Kerry terrier pet dog has a disposition that is easily house trained. The Blue Kerry terrier pet dog is actually quite eager to learn. This means that you will be able to train it very quickly. Although a Blue Kerry terrier can become an excellent playmate for children, it must be taken that the children do not show any cruelty to the dog. The Blue Kerry terrier is also one of the more hardy types of terriers. This is because the Blue Kerry terrier has very few genetic problems. Before buying one, however, you need to ask for eye certifications and hip x-rays. These are the most commonly afflicted parts of the Blue Kerry terrier. A Blue Kerry terrier is not really for everyone. Some people may find it a bit too playful. Some people may not really get used to the Blue Kerry terrier’s curiosity. People may not really understand its habit of following everyone around. Today, the fate of the Blue Kerry terrier dog lies in the hands of the breeders who care for them, nurture them, and make sure that they have great homes to stay in.